Wow! Getting all French and fancy on us, eh? ;) This sounds intriguing! Anything tastes good with goat cheese and baguettes has to be fantastic! 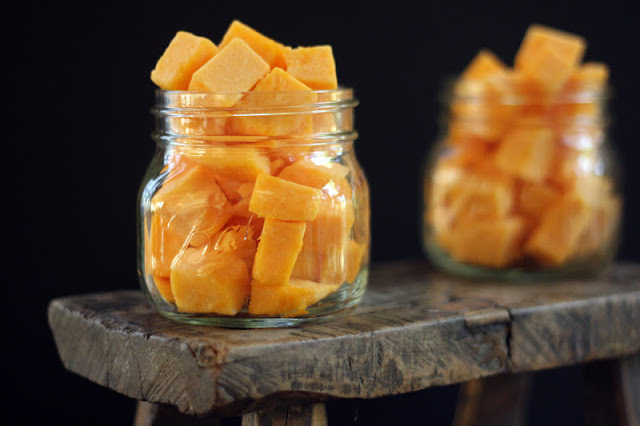 Yum, I never thought of preserving butternut squash, delicious! Happy Thanksgiving to you and your entire family. Thank you, Suzanne - I hope you enjoyed a wonderful Thanksgiving, too! 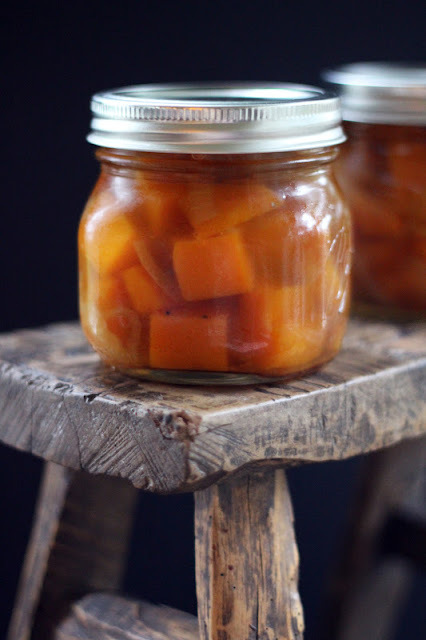 This was my first time preserving squash and I'm hooked...thinking about trying kabocha next. I just love this season! Serving with goat cheese and baguettes sounds spectacular! Love this...and I can only imagine how comforting this was to be cooking in your kitchen while the rain pounded outside. YUM! Thanks, Erina! Happily, there is still some goat cheese and squash stashed in the fridge for snacks this week. And I'm delighted to be cooking with this sunshine today! Hope you had a wonderful Thanksgiving and could relax with some celebratory bubbly. Yes, yes! I'd love to cook for you. :) I hope you enjoyed a wonderful Thanksgiving with your family. I'm sure it was marvelously delicious! Wonderful! I'm pinning this one. Thank you. Oooo I bet this was the perfect addition to your Thanksgiving table. 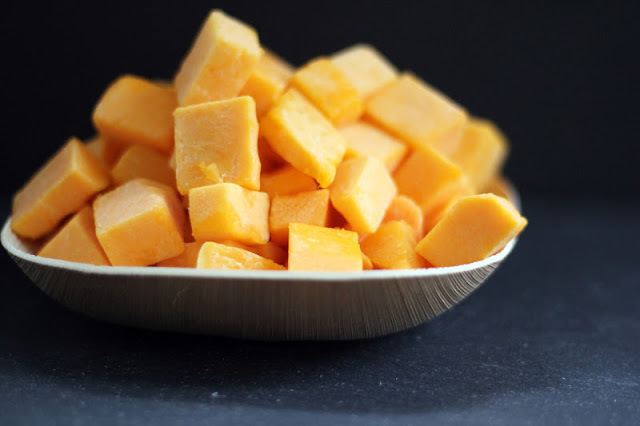 I love anything butternut squash and this is such an unusual take on it. Love it. Hope you had a wonderful holiday. Thank you, Beth, this is definitely a unique, tasty way to prepare butternut squash. Fortunately there is a bit leftover so I've been enjoying it straight from the jar. Our Thanksgiving was lovely, with lots of family in town. I wish yours had been more peaceful - hopefully you can still have your ex-pat dinner at some point. This is exciting! I have a squash surplus and a recipe deficit. Lots of squash love these days! I hope you enjoy this one. We just finished the last of this batch yesterday and I'm eyeing some more squash on the kitchen counter now. I appreciate you stopping by! I hadn't noticed this recipe in the book, but I LOVE the Preservation Kitchen. Such sophisticated flavors. Thanks for highlighting. (PS the concept of aigre-doux was new to me too...I still need to try one. 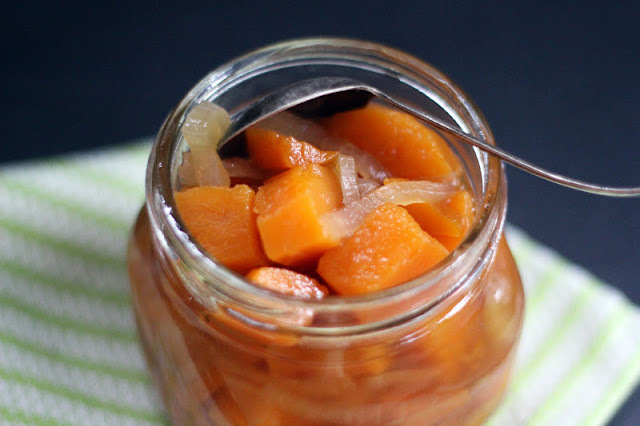 I did try his sauerkraut but wimped out when it came time to taste it, and wanted to make the peach-saffron jam but well, that's a lot of saffron to buy). Isn't this a marvelous book? I have so many post-its in it with recipes I want to try...sauerkraut is one of them. I guess I just need to cook my way through the whole book! Thank you, Mairi! I hope you enjoy it when fall returns for you. Merry Christmas!